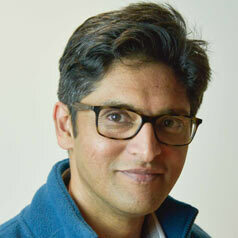 Rahul Chandra is co-founder and Managing Director of Helion Venture Partners, an early to mid stage India focused venture capital fund, and has 17 years of venture capital investing and corporate development experience in technology product and services companies in India and the US. Between 2000 and 2006, Rahul was based in Silicon Valley as part of the investment team at Walden International, a global venture capital firm with more than $2B under management. Rahul started Venture Capital investing in 1996 in India as the first hire at Walden's India office. In this role he managed investments for Walden's India dedicated Fund between 1996 and 2000. Between 2004 and 2005 he also led the M&A efforts at e4e Inc., a Santa Clara, CA based BPO company with more than 4,000 employees across the globe. Rahul has invested in more than 30 early-to-mid-stage companies such as Mindtree, Ikanos (IKAN), e4e Inc and Techspan (Headstrong).